Rumba in its glory. Photo courtesy Rumba. The Pacific Northwest has a reputation for being a gray and dreary part of the United States, with high rates of seasonal affective disorder and only a few bright weeks in summer to break up all that gloom. And while few residents may hail from the Caribbean, the Northwest’s metropolitan areas are home to some of the country’s best rum-focused establishments, all celebrating the spirit most associated with the Caribbean and South America. Rumba’s origin was serendipitous. Owner Travis Rosenthal bought the staple tapas restaurant Tango in 2006. The restaurant is located where downtown Seattle meets the young, hip neighborhood of Capitol Hill, an area which had, until recently, been a bit of a dead zone. When the famous streetwear shop Goods left the space next door, Rosenthal saw an opportunity to offer something new to the Seattle bar scene. 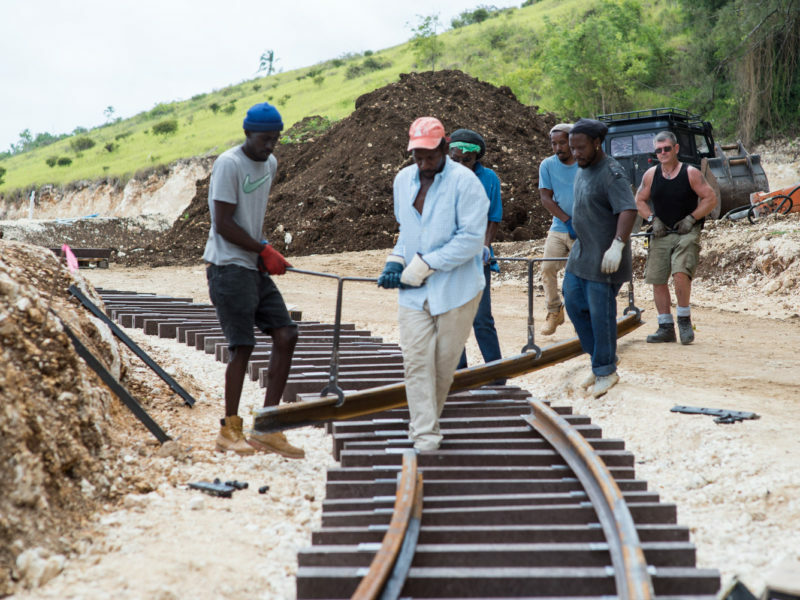 He brought on general manager Kate Perry to lead the opening of what was to become the host of one of the largest collections of rum in the country. 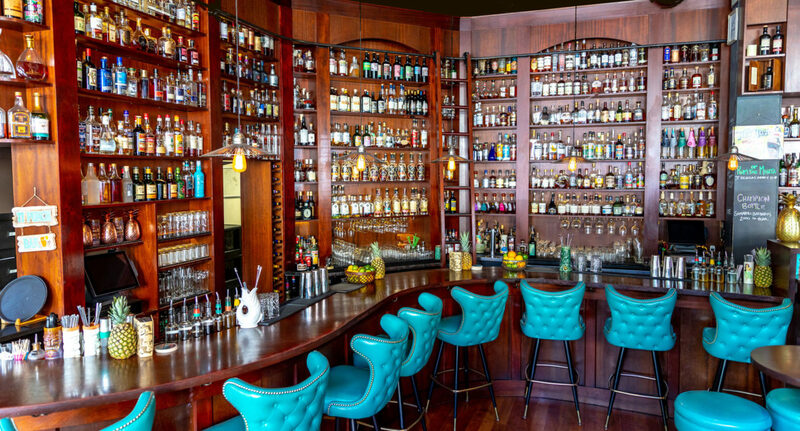 Initially offering a relatively modest collection of 250 rums, Rumba now boasts over 600 different curated expressions, attracting both dedicated regulars and rum aficionados worldwide. The rum is paired with a classic Caribbean-themed space, thoughtful cocktails, and a food menu consisting of tropical staples. South of Seattle on the other side of Sea-Tac Airport resides the old mill town of Tacoma, an up-and-coming area as the region’s adjoining cities grow and overflow. In 2012, owners Jason Alexander and Robyn Murphy opened Tacoma Cabana, combining Polynesian pop with a modern Hawaiian vibe. Tacoma Cabana, now closed, boasted an impressive collection of rum, offered neat for sipping or mixed in energetic exotic cocktails. Alexander and Murphy have since opened a second venture down the street, Devil’s Reef, a moodier, more nautical bar featuring mostly rums from Jamaica, Guyana, Barbados, and Trinidad, with a smattering of French and Spanish influence. The regular crowd shuffles in to Rum Club. Photo by Kari Young. As with Rumba, Portland’s Rum Club began with the idea of offering something new. Mike Shea, a habitual whiskey drinker, was working at Beaker and Flask (a now-shuttered cocktail bar in town), when its owner introduced him to rum. Shea fell in love with rum’s range, variety, and flexibility—so much so that he decided to open a bar devoted to the spirit. Rum Club (the bar’s working name that stuck) wasn’t originally meant to be a major destination for rum fans. Half of its menu is devoted to accessible rum cocktails, including the ubiquitous Daiquiri, with the other featuring takes on classic cocktails which substitute rum in for whiskey or other spirits. 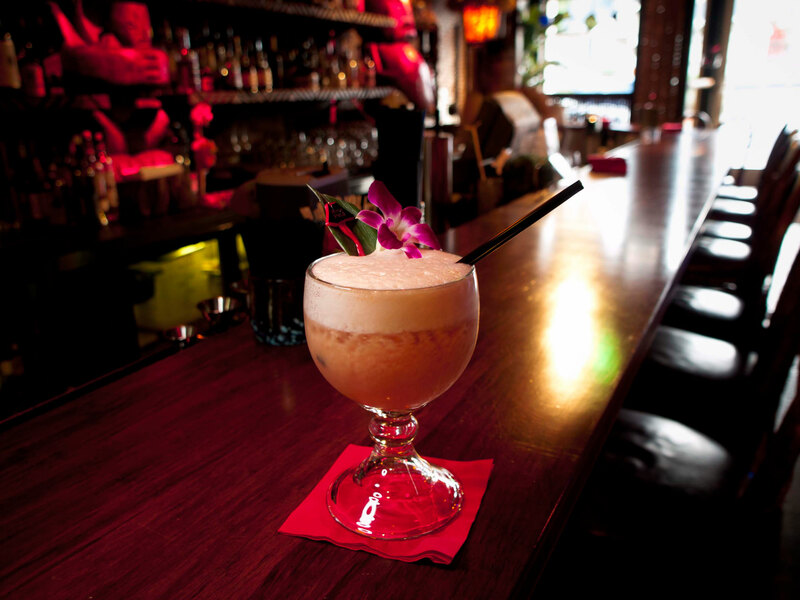 Rum Club quickly became a mainstay in the after-hours Portland bar scene (a rarity back in 2012). Shea claims that the success of Rum Club didn’t come from rum, but rather from the unpretentious view that rum—and drinking in general—should be a fun experience. “Drinking is fun, and we don’t have to make it anything more than that,” says Shea. Crowds came for the lively atmosphere, and the bar’s great offerings rapidly turned casual drinkers into rum enthusiasts. Anyone is welcome to try a flight of aged rums, and no one is dismissed from the Rum Club for ordering a shot of well whiskey and a tallboy of beer. By late evening, the scene evolves into a dance party as well as a bar industry hangout. Such nights may feature the occasional “Shot Ski,” reminding us again that the Rum Club experience is fun, light, and social. Meanwhile, a mere ten minutes away from Rum Club, bartender Blair Reynolds was opening his atmospheric Hale Pele in the former space of the tiki bar Thatch. The California-born Reynolds drew inspiration from his youthful visits to Hawaii and Disneyland’s Enchanted Tiki Room, as well as venerable tiki spots like Trader Sam’s at the Disney Resort, Trader Vic’s, and San Francisco’s famous Smuggler’s Cove, adding blowfish lamps, a bridge entrance over a trickling river, and a “volcano” that “erupts” every few hours. That ambience, along with the delicious Mai Tais, Zombies, Painkillers, and other tiki bar staples, made Hale Pele an almost instant success. 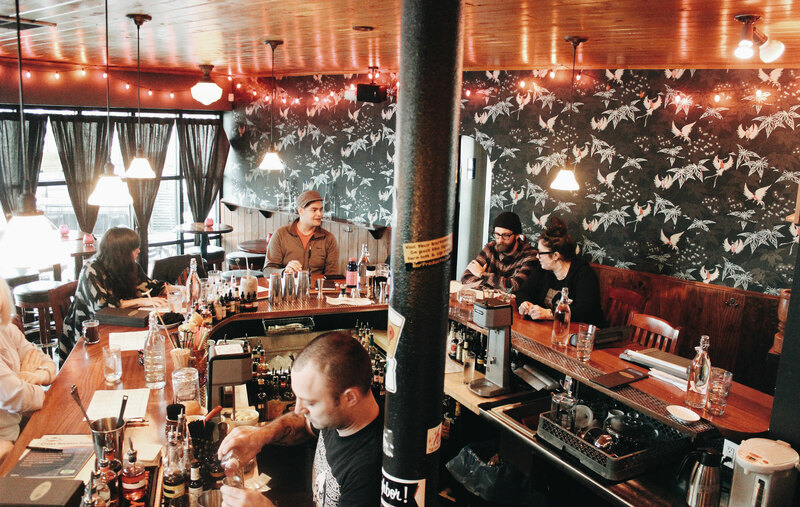 It remains one of Portland’s most lauded bars to date. Hale Pele, a tiki bar with windows. Photo courtesy Hale Pele. Hale Pele offers weather-weary Northwesterners an easy respite from the gray skies: “Tiki drinks make a great tropical escape when you haven’t seen the sun in four weeks,” says Reynolds. “Portland is, and the Northwest is, a city of passionate people. We’re locked indoors because it’s so gray, so we study. For some people, it’s media; for others, it’s sports. For others, it’s gonna be rum.” Fortunately, Hale Pele offers customers a robust collection of rums, and a loyalty system for those enthusiasts who enjoy the indoor sport of sampling of their ever-increasing collection of rums. 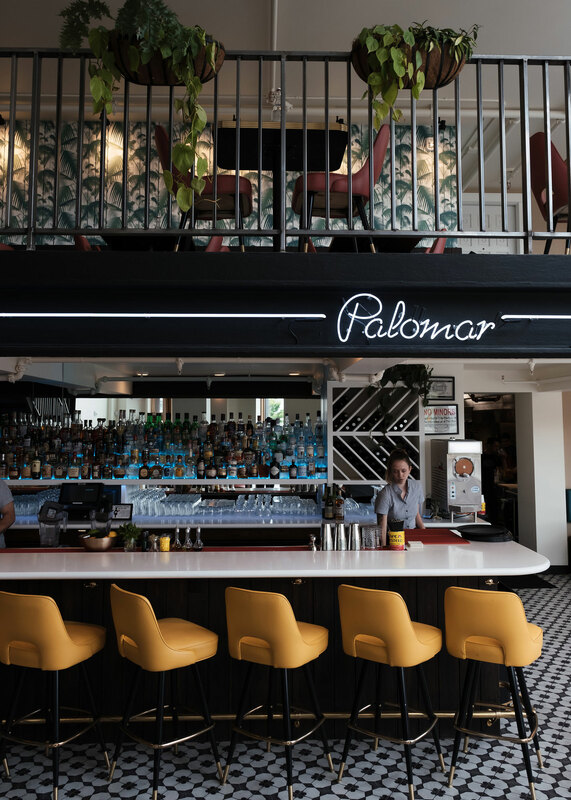 Specializing in Cuban drinks—especially, of course, Daiquiris—and Cuban diner cuisine, Palomar attracts regulars from the tiny Caribbean community as well as neighborhood rum fans. “We’ve had dozens of Cuban families come into Palomar,” says Gomez. Picturesque Palomar. Photo by Jordan Hughes. Rum is even made in the region. 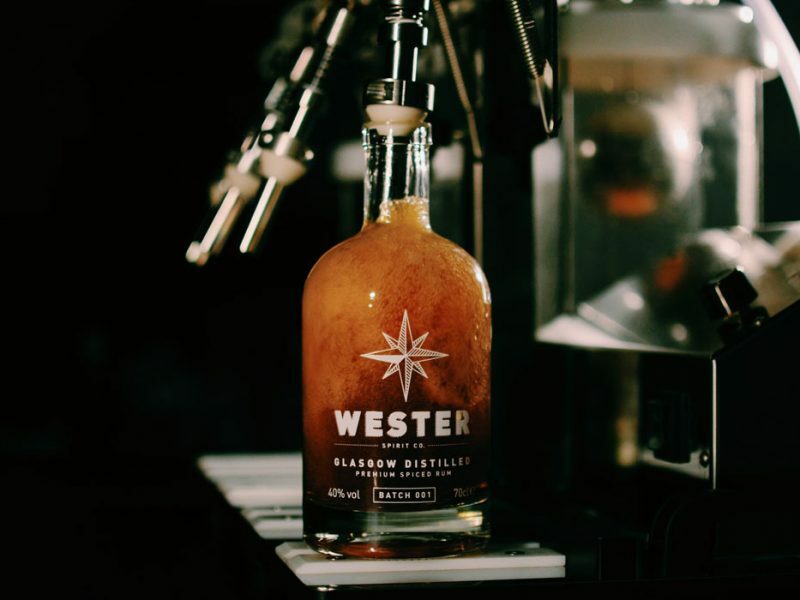 The Pacific Northwest’s robust distillery community turned to rum, with luminaries like House Spirits of Portland and Sun Liquor of Seattle making varieties sourced from sugar both imported and domestic. For House Spirits, rum came to them by chance, as a good friend of one of the founders owned a massive sugar plantation in Guatemala and wanted to get into the rum business. “Rum is the ultimate expression of sugarcane,” explains Christian Krogstad, owner and founder of House Spirits, citing the reason for the launch of their Magdalena Guatemalan rum. This new wave of tropical havens has made a splash in our national rum scene, but the notion of a South Seas escape from the weather is new to the region. Tiki pioneer Victor Bergeron opened the second outpost of his infamous tiki bar, Trader Vic’s, in Seattle in 1948, then called The Outrigger (the name changed to Trader Vic’s Seattle in 1960). The Polynesian-themed restaurant closed in 1992, but beloved Seattle bartender Dennis Berg recalls its heyday: “When I started at the Outrigger in 1975, it was the place to be seen. Weekends were always busy, and the ladies just loved the Scorpion Bowl with gardenia flowers. I would hear the servers talk about the higher-up families of Seattle: the Boeings, the Bridges, the Weisfields, and Friedlanders. All of them had their own specific tables. The 1960s and ’70s were pretty amazing times!” Now that rum is back in full force, those times can return. The Northwest’s tropical bars serve as an escape during the dour, cloudy months and as a celebration during the long summer days. “I do think, obviously, when you have seven months of gray, if you have cocktails and decor that remind you of the sunny days, it’s a good thing,” Gomez says. The tropics are a state of mind, and the Northwest is ready for its time in the rum-inspired sun. Special thanks to Kate Perry and Gina Haase for their assistance. Alex Frane lives in Portland, Oregon, which has a surprising amount of rum for a little, gray city. When not writing about or drinking rum, he can be found checking out the newest restaurants, petting the cats he meets on the street, or getting out of town.